If you have a TV antenna, cell booster, satellite dish, Wi-Fi, and home theater, you might also have a whole rack full of amplifiers of one sort or another. You see, each of these systems may need an amplifier of its own, and it’s enough to make you wonder why you can’t just have one amplifier that does the whole job. After all, an amplifier is essentially the same whether it’s boosting an electric guitar or a satellite dish, right? Right… and also not right. Amplifiers are designed for different purposes. Some provide extremely low noise to help super-weak signals that have traveled tens of thousands of miles, while some make a reasonably strong signal extremely strong so it can make a speaker work. The basic physics are the same, but the details are quite different. So let’s leave off home theater and musical instrument amplifiers for a moment. It would seem like antenna, cellular, and satellite amplifiers would be pretty similar, and Wi-Fi amplifiers would also fall into that category. Wouldn’t you at least want one device that did all those together? Still, the answer’s no. There are three reasons you would not want a single amplifier for everything, even though it would kind of work. When you’re talking about antenna, cellular, and satellite, you’re talking about three different kinds of signals that should be at different levels to be received. Even though TV antennas and satellite dishes provide the same programming, the way it’s delivered is quite different. At least TV antennas and satellite are still headed in more or less the same place. Cell signals use a broadcast amplifier so they can get to your phone and so their levels need to be — no kidding — about 1,000 times stronger. Keep in mind that if you’re amplifying more than one thing, you’re going to split that amplified signal at some point to go to more than one device. That means cutting its power in half and adding noise. Those are two things you most definitely want to avoid when you are amplifying. Unfortunately, you can’t really direct “just the TV signals” one place and “just the satellite signals” to another place without complex electronics that add cost and always add some noise. 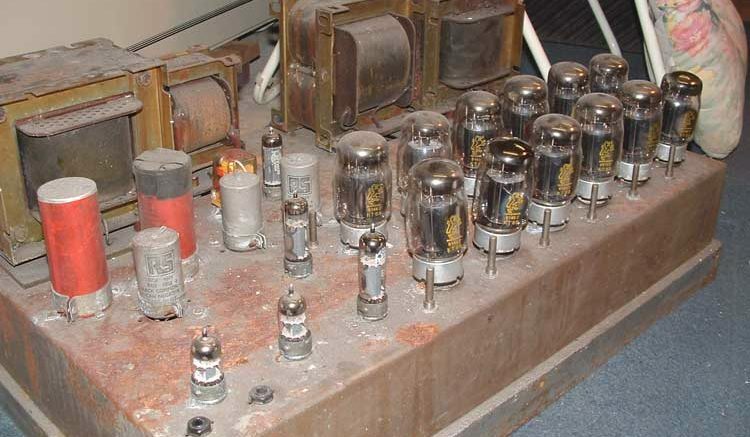 The problem with a single amplifier is that at some point the signals all have to get mixed together. Otherwise, you’re just kidding yourself, and you have multiple amplifiers in one box. That’s a problem for antenna and satellite, because some of the signals are on the same frequencies. Even though you’ll find TV on 54-790MHz and satellite TV on 950-2150MHz, both DIRECTV and DISH also use control signals that are on the same frequencies as some TV channels. These control signals are much stronger than TV signals already, so amplifying them with the same circuits as you use to amplify TV signals would be a big mistake. When you come down to it, it may seem like a good idea to have one master amplifier, but you see that if you were going to make it work right, you’d still have a lot of extra components and that would make it more expensive and probably not save any space or simplify your wiring. So, for now, it’s best to shop for the amplifier you really need over at Solid Signal. There are a lot of choices but you’ll find the exact right one for your setup.